Kenneth Aubuchon is the Chief Executive Officer of AGES-online, a premier family tree-building Internet software developer. At the helm of the company, Mr. Aubuchon offers his leadership expertise by knowledgeably and skillfully overseeing a team of software developers, as well as the company’s finances. Mr. Aubuchon is also in charge of making key business decisions, and supervising daily operations. 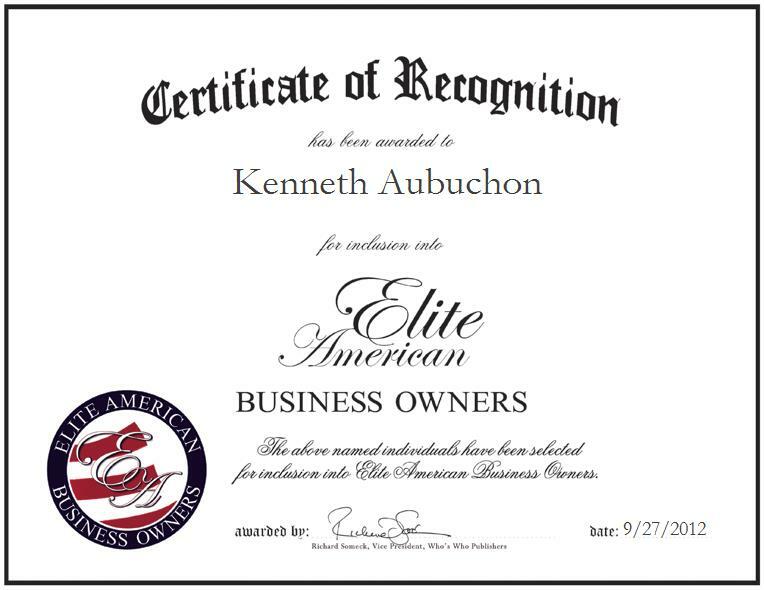 Over the course of an illustrious career that has spanned more than 21 years, Mr. Aubuchon has sparked creative ideas and brought to the forefront strong American values and a solid work ethic that has garnered for him a reputation of distinction and prominence. He has also earned the title of Kansas Business Man of the Year through the Kansas Business Advisory Council, and received the Congressional Medal of Distinction from the U.S. House of Representatives in 2008.